The coastal route from Sausalito to Big Sur, two places that embraced bohemian artists during the 1940s and '50s, takes one over Bixby Creek along the Bixby Bridge (above) in Big Sur. 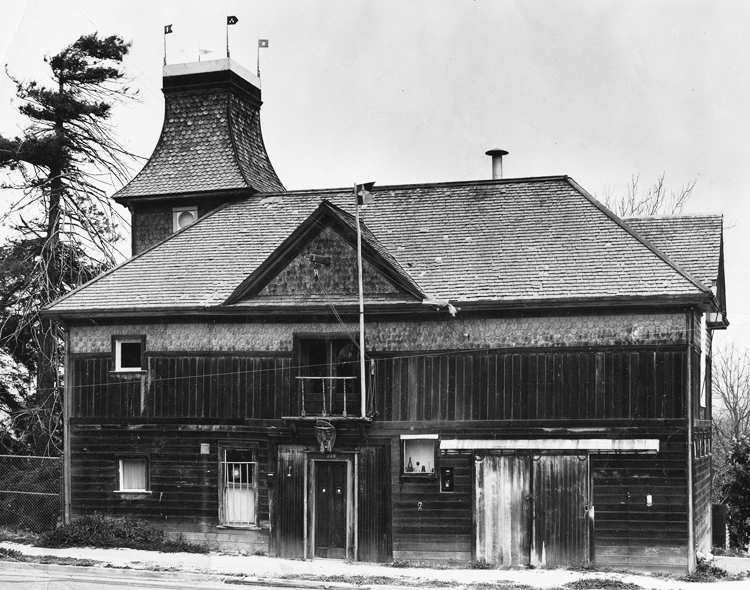 The Red Barn in New Monterey was home to Jean Varda in the 1940s. 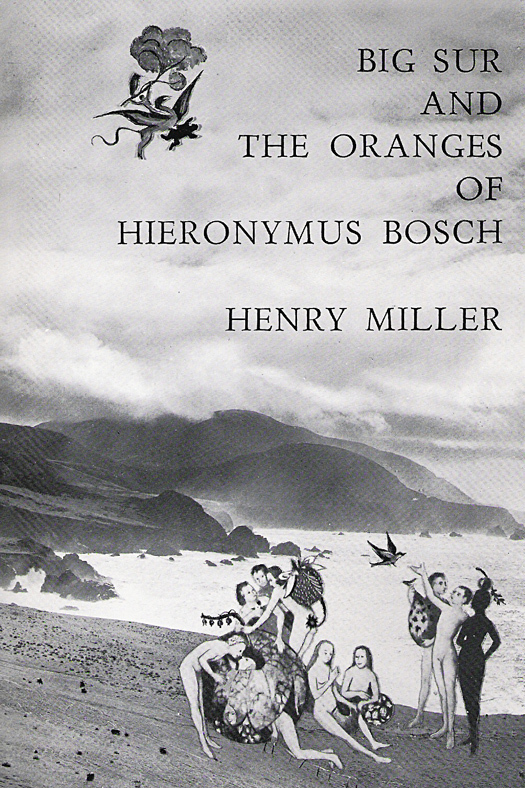 Henry Miller's 1957 memoir about life in Big Sur, where he resided for 18 years, Big Sur and the Oranges of Hieronymus Bosch. There were brilliant parties—parties filled with talk and poetry and art—created right on the spot. Everyone who was there knew the world would never be the same. After all, they were going to change it tonight—at this party, tomorrow at the café, the next day on the boat or at the beach or at the poetry reading. "Once the war ended," Bay Area poet-filmmaker James Broughton recalled in his memoir, "artists could drop their uniformities and take up free play again. In San Francisco, poetry rang out for all to hear." "We went to gallery openings for martinis and sandwiches, and the Black Cat Bar to buy Lucky Strikes for 15 cents and listen to José sing 'Madame Butterfly,'" Broughton recalled, "to visit [photographer] Minor White and marvel at the navels he was photographing, to Murphy's Hot Springs in Big Sur before it dressed itself up as Esalen, where we chatted in the tubs with Henry Miller, Emil White, and other local characters." On the Sausalito waterfront, meanwhile, mosaic artist and collagist Jean (pronounced 'Yon') Varda would be piloting a gaily bedecked boat piled high with friends, many of them artists and musicians and writers and architects, all the while telling jokes and tales about his life—the early days in Greece, hanging with the Dadaists in World War I Paris, dancing ballet in London. Varda, of course, was absolutely broke and absolutely generous. "If somebody gave him a gigantic piece of fresh tuna, immediately the word would go out that everybody should come tonight," recalls photographer Fred Lyon, who lived in Sausalito for decades. "And he cooked it in this gigantic steel pan he had filled with potatoes and tuna and god knows what. It was wonderful. And everybody always brought wine. It was always a party." 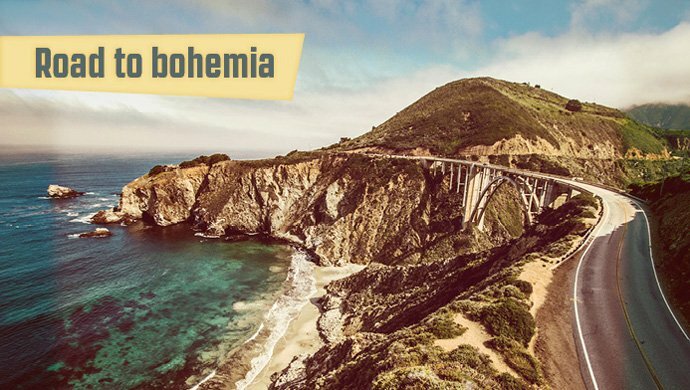 In the 1940s, while war raged in Asia and Europe, and America mobilized to fight, a bohemian scene burst into view throughout Northern California, with outposts as far south as Big Sur and as far north as Mendocino. The 'New Paris,' some called it, as peripatetic musicians, writers, and artists made their way from Henry Miller's cabin along the Big Sur coast to Varda's various digs—first the Red Barn in New Monterey, then the ferryboat Vallejo in Sausalito—stopping on the way at various homes in Berkeley and noisy, crowded apartments in San Francisco's North Beach.